Let me start with the fact that……. You can’t tell,Â you say? Well, it is…….at least I thought it was until I found another neat blog. You know the drill……if you want to browse around the blog that I’m posting about instead of waiting to see what I want to show you…..well then….. feel free to take your little, impatient fingers and click here on this bloggy button. This is one of the first photos I landed on. We were tight…… except for the part where we aren’t related and she doesn’t know me and her blog is like all fancy and she is really good at crafts,Â and so pretty, dresses really stylish and uses tools………. But besides all that……I felt a bond. I mean….I had a messy/organizedÂ pantry too. Then she went and hurt me……she hurt me bad. 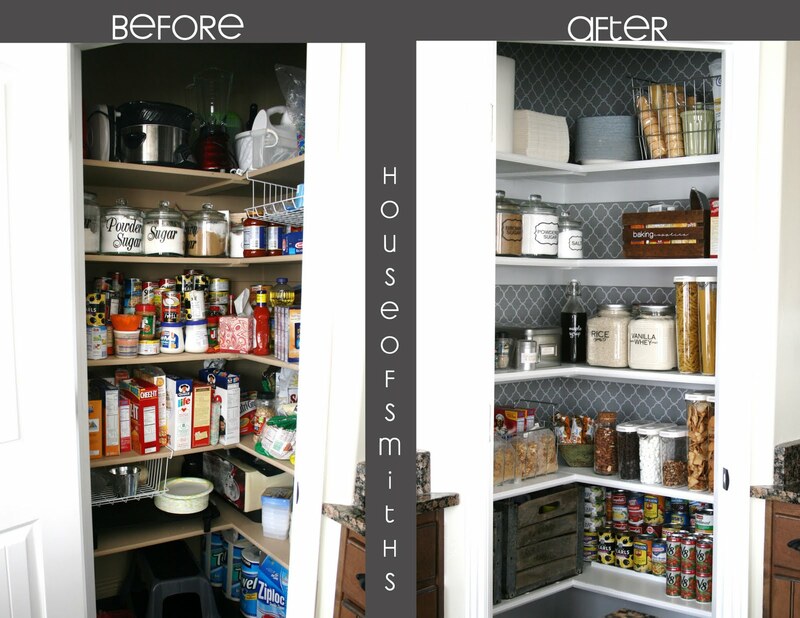 Â Â Â Â Â Â I thought her pantry looked good the way it was…..but I also thought my pantry looked good. Look what her pantry looks like NOW. How can a pantry be soothing? How can ice cream cones look fancy? How can paper goods look like fine linen? I don’t think she did it on purpose. She and her hubby are team players and they provide great tutorials. Click right here…….that will take you to her pantry post. I felt so proud when I organized mine but this is taking it to a whole new level! I would never put a door on it. I would have our family photos in it. Is that pretty or what? I LOVE the blue! It does not end with her pantry. I have got to get out of my little box! Just kidding….I’m out of bed. But really, is that an unreal transformation or what? Think her style has changed a bit? Gives us all hope doesn’t it? I could so do this with my downstairs bathroom. But it would mean I would have to rip down wallpaper…….prime…..paint….get tools…..sand things……..do stuff. Her style is inspiring and soothing. Honestly……..I don’t know which one of her neat projects to try first. Enjoy and tell me which project is your favorite. Figure out how to become a follower of her blog…..it’s easy. Then you could be polite and do the same with my blog and share what you decide to create. Your Facebook comments don’t show up on the blog, so just be reminded of that. Maybe there is a way to change that…….Hmmmm….. I will try to figure that out to make it easy on all of you. Share your transformations with me and I will post about them….then link back to the blog that inspired you. They enjoy seeing how you take their ideas and create just as much as you enjoy creating them. Take good before and after pic’s and even during pic’s if you can. Remember how I forgot to take before photos here on this link. Learn from me little ones. But you will learn even more from the House of Smiths. Thank you for all your awesome compliments and for the feature!! !